As the oldest family owned and operated manufacturer of unit concrete products in America, EP Henry has long been committed to being the market leader in both consumer and commercial Hardscaping™. Our commitment goes beyond just having the highest quality and broadest product offering. EP Henry ensures that you get not only the best product but the best finished project. EP Henry is 100% USA made, owned and operated. From our humble beginnings in Edward P. Henry's Woodbury, NJ basement, we have evolved into a recognized leader in the industry and innovator in product development. 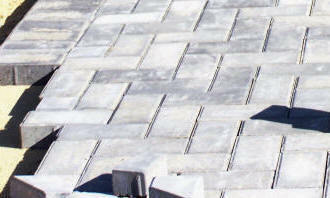 design and install your EP Henry hardscaping project -- driveways, decks, walls, sidewalks and more! 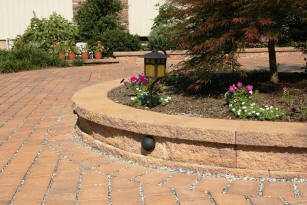 Dutch Neck can help plan and add ponds, waterfalls, and fountains to your landscape. 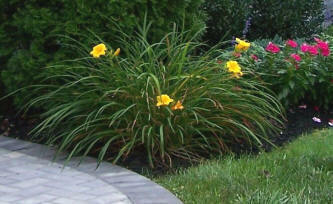 Add the natural movement, sound and beauty of water to your yard. Allow Dutch Neck Landscaping to design and install yard and garden structures such as trellises, arches, pergolas, gazebos, benches and other elements to beautify your landscape.